The 17-inch Maddie that was leaked yesterday has made her way to the Mattelshop. At 17 inches, this gorgeous doll offers fableous detail in an extra-large size. Dressed in her iconic outfit, fans of Ever After High™ will love telling tall tales with this colorful teenage daughter of a fairytale legend. 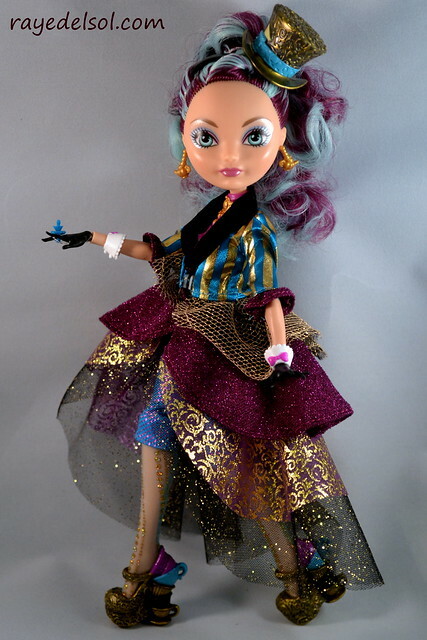 I was so hoping that more dolls would be made on this scale, but right now, it is only Maddie that is listed. PLEASE MATTEL! DON’T STOP THERE! We need more of these larger dolls! So! Let’s get to this! Maddie! The character everyone loves!